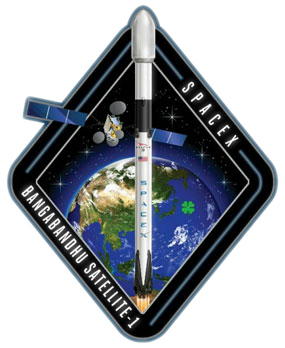 With the successful launch of the Bangabandhu-1 satellite on May 11th, the final version of the Falcon 9 rocket has finally become operational. Referred to as the “Block 5”, this version of the rocket is geared specifically towards reuse. The lessons learned from the recovery and reflight of earlier builds of the F9 have culminated into rocket that SpaceX hopes can go from recovery to its next flight in as few as 24 hours. If any rocket will make good on the dream of spaceflight becoming as routine as air travel, it’s going to be the Falcon 9 Block 5. While there might still be minor tweaks and improvements made to Block 5 over the coming years, it’s safe to say that first stage recovery of the Falcon 9 has been all but perfected. What was once the fodder of campy science fiction, rockets propulsively lowering themselves down from the sky and coming to rest on spindly landing legs that popped out of the sides, is now a reality. More importantly, not only is SpaceX able to bring the towering first stage back from space reliably, they’re able to refuel it, inspect it, and send it back up without having to build a new one for each mission. But as incredible a technical accomplishment as this is, SpaceX still isn’t recovering the entire Falcon 9 rocket. At best, they have accomplished the same type of partial reusability that the Space Shuttle demonstrated on its first flight all the way back in 1981. Granted they are doing it much faster and cheaper than it was done on the Shuttle, but it still goes against the classic airplane analogy: if you had to replace a huge chunk of the airliner every time it landed, commercial air travel would be completely impractical. SpaceX has already started experimenting with recovering and reusing the payload fairings of the Falcon 9, and while they haven’t pulled it off yet, they’ll probably get there. That leaves only one piece of the Falcon 9 unaccounted for: the second stage. Bringing the second stage back to Earth in one piece might well be the most challenging aspect of developing the Falcon 9. But if SpaceX can do it, then they’ll have truly developed humanity’s first fully reusable rocket, capable of delivering payloads to space for little more than the cost of fuel.